In 2015, the Nordgold company produced 950 thousand ounces of gold. Russia’s top gold producer Nordgold, controlled by businessman Alexey Mordashov, has completed re-domiciliation from the Netherlands to London for premium listings on the London Stock Exchange, the company said in a statement. Earlier, Chief Executive Officer Nikolai Zelenski said that the company needed re-domiciliation in order to obtain premium listing on the London Exchange and to increase the part of the capital in free float to 25 percent from 10 percent. 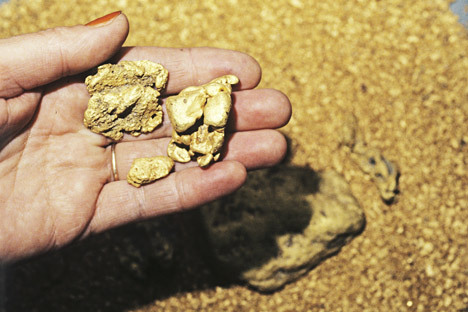 Nordgold operates nine mines (five in Russia, two in Burkina Faso and one each in Guinea and Kazakhstan). It has two active development projects (Bouly in Burkina Faso and Gross in Russia), four advanced exploration projects and a diverse portfolio of early-stage exploration projects and licences in Burkina Faso, Russia, French Guiana and Canada. In 2015, the company produced 950 thousand ounces of gold. The production target for 2016 stands at 950-1,010 ounces. Gold production: Too much of a good thing?